The US Department of Justice has approved Microsoft’s $7.2 billion acquisition of Nokia’s mobile devices business. The official ruling came down on November 29 but wasn’t revealed until a December 2 notification from the Federal Trade Commission's Bureau of Competition. In a statement on the matter, Microsoft said they look forward to the date when their partners at Nokia become members of the Microsoft family. What’s more, they were pleased that the Department of Justice cleared the deal unconditionally. It’s good news for Microsoft and Nokia but they still must wait for approval from the European Union. It will be up to antitrust regulators to determine if Microsoft’s buyout bid breaks any EU competition rules. At last check, the commission was expected to hand down a ruling by December 4 although we are told such a review can be extended by 10 business days in the event there are any concerns that need to be cleared up. Microsoft first announced plans to buy Nokia’s Devices and Services arm and license a number of patents in early September. 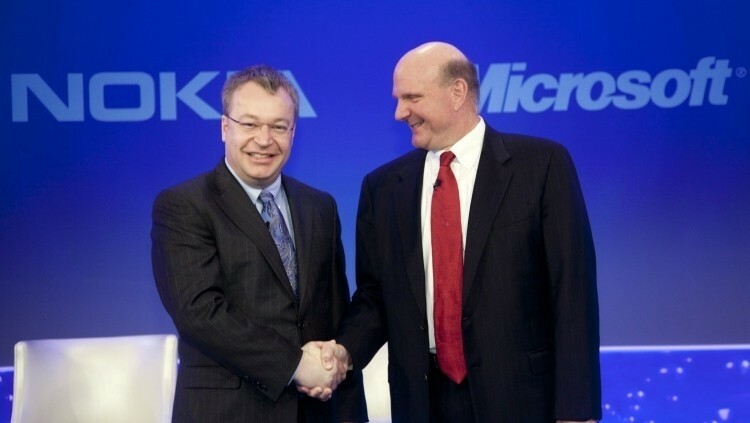 At the time we were told that around 32,000 Nokia employees would soon become Microsoft staffers. That includes 4,700 people working in Finland and some 18,000+ individuals involved in manufacturing. Pending regulatory approval from the remaining entities involved, Microsoft said they expect the deal to close sometime during the first quarter of next year. Until then, it’ll be business as usual for Nokia.